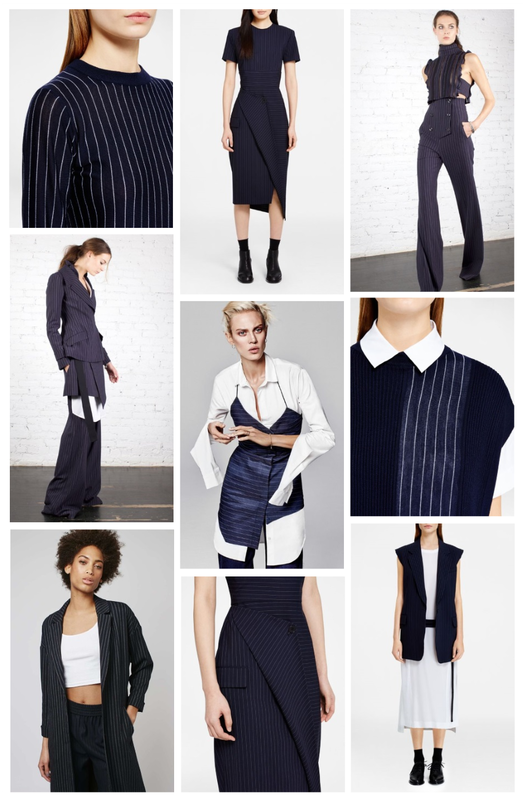 From beautifully structured at Zimmerman to playfully ruffled at Phillip Lim; this season is all about a fresh take on the humble pinstripe. I've always been a huge fan - so I'm really excited that the 80's staple is back (... and better than ever!). * Update: this post was featured in IFB's weekly Links à la Mode list - :)! I love me a good pinstripe! I'm psyched to see that they are making a come back!